This ordinary-looking small tree is burdened with a plethora of names. Gum bumelia, also known as gum bully and about 10 other names. Photo by Jo Roberts. I can find two Latin names for this plant. Texas A & M University and University of Florida call it Bumelia lanuginosa. Texas A & M has it on the Texas Native Plants Database , which would imply that it is a native, but University of Florida says it is not native to the US. At the Lady Bird Johnson Wildflower Center , Texas Parks and Wildlife, and the USDA, the Latin name is given as Sideroxylon lanuginosum. There are many common names, including Ironwood, Chittimwood, and False Buckthorn. To make it even more confusing, one of its common names is Coma, but there is another plant in the same family, also called Coma. TPWD’s brochure on deer browse rates the other Coma (Sideroxylon celastrinum) as a first choice browse for deer, but this one, as only a second choice. And they use the common name of Wooly Bucket Bumelia. I think the lesson here is that we should not feel bad when we are uncertain about identifying a plant! For such a nondescript tree, there are lots of interesting facts about it! Here is an interesting article about it and the beautiful beetle that lives on it, at the Native Plant Society of Texas, Boerne Chapter. 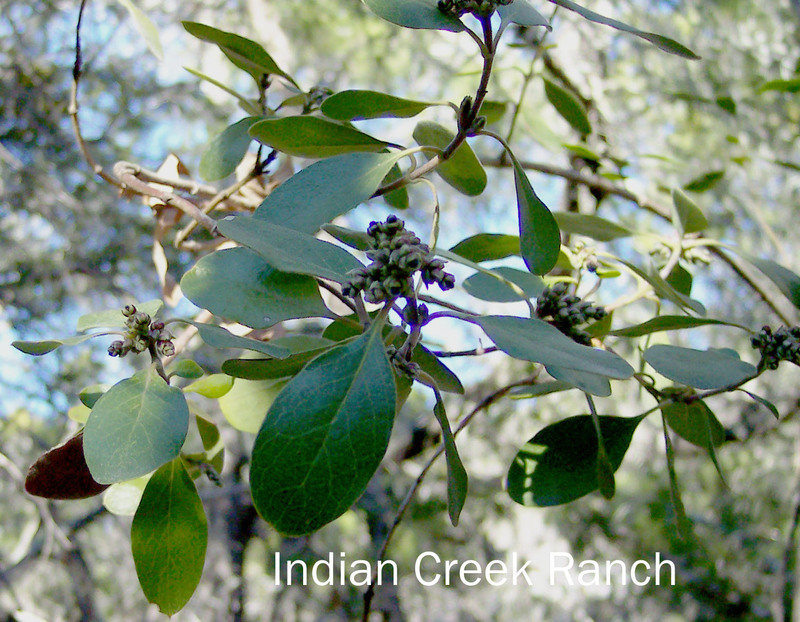 And for more about its plant relatives, and its relative usefulness (or not) on the range, here is another article at Ranch and Rural Living magazine. It is not mentioned in Toxic Plants of Texas or Brush and Weeds of the Texas Rangeland.